Spring is the perfect season to do a complete check-up and cleaning of your HVAC system. It worked extra hard during the colder months, so it’s important to make sure it’s running smoothly before you start blasting the AC in summer. Having your air filter cleaned or changed when needed is one effective way of saving money and get your HVAC system working efficiently. Unfortunately, it’s something we often forget to do. A dirty filter will have your system working double, raising your energy bills. What’s more, the strain put on your HVAC can end up costing much more in repairs, as well as shortening its lifespan. In addition to saving money, cleaning or changing your air filter will enhance the air quality in your home. Air filters remove dust, moulds, pollens, and other contaminants which circulate in your home. A dirty air filter keeps all of it circulating through your home. Spring is the perfect time to change your air filters as that’s when allergies start, and a clean air filter can really help reduce your symptoms. This is why air filters should be changed more frequently during summer when there’s more pollen and other airborne contaminants. Another essential part of your HVAC system you need to consider is the ductwork! It’s important that you check for leaks, or you could be wasting money. Homeowners often don’t realize the importance of having their ductwork checked. It could prevent the air traveling through it from getting lost, and having extra energy wasted heating or cooling the house. Simply repairing any holes or leaks with tape is not a permanent solution. Have our experts at Fresh Air Furnace Services verify that everything is in good working order, and avoid more costly repairs later. They’ll make sure there are no leaks or detached parts. A programmable thermostat could be a great addition to your home. A great choice is the NEST E Thermostat. It helps you keep the temperature in your home just how you want it, and more importantly adjust to your needs. There is no need to warm or cool your house when you’re away all day—it’s just wasting energy. A smart thermostat can be programmed to match your schedule. It’ll make sure to be the right temperature when you get home, but save energy when you’re away. It can also lower at night, but be warm and cozy for when you get out of bed. A programmable thermostat is especially useful during spring; since temperatures tend to go up and down, it’s easier to have a thermostat that can either automatically follow those shift or at least to be able to adjust the temperature via your smartphone! Most importantly, have your HVAC system serviced by a professional. HVAC systems are a crucial and complicated part of your home, and you don’t really want to start poking around with no real clue of what you’re doing and risk breaking something. Getting your HVAC spring maintenance done is as simple as calling the professionals at Fresh Air Furnace Services. 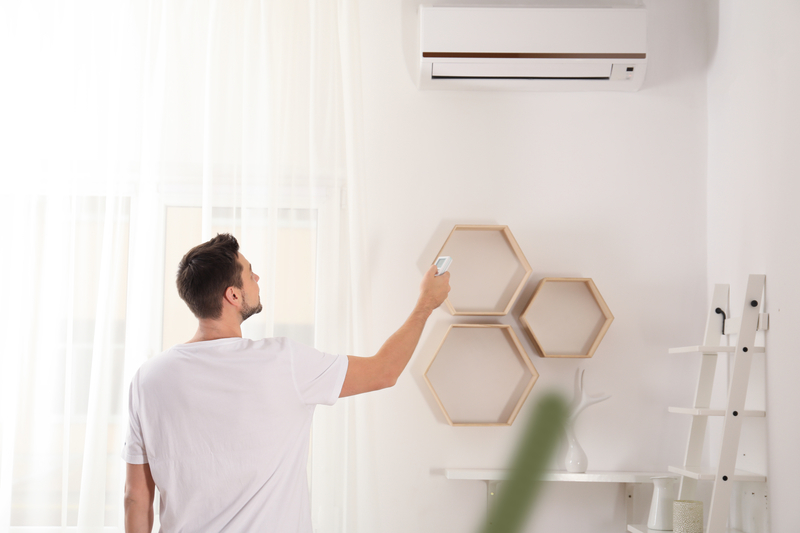 They’ll help you make sure your HVAC system is fully functioning after a long winter, and ready for the heat and humidity of the coming summer.